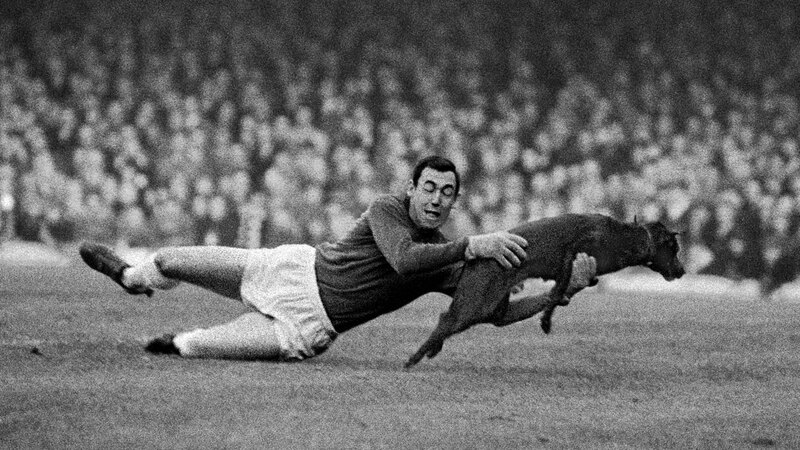 England's World Cup-winning goalkeeper Gordon Banks has died at the age of 81, his family has announced. 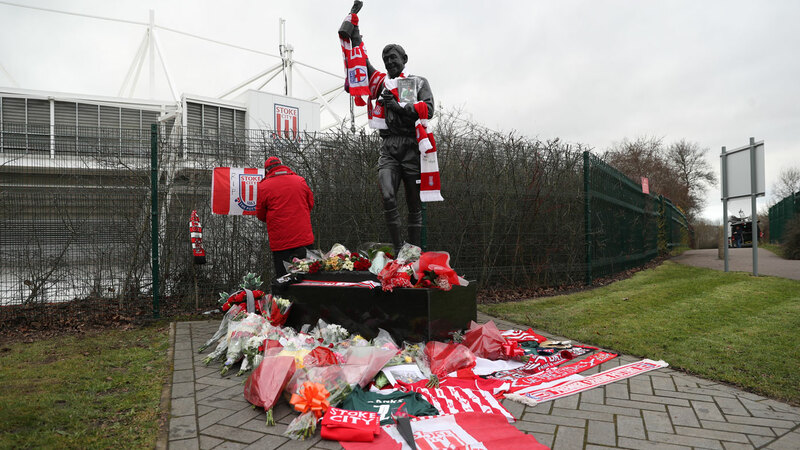 A statement issued by former club Stoke on the Banks family's behalf said: "It is with great sadness that we announce that Gordon passed away peacefully overnight. Banks made 510 league appearances for Chesterfield, Leicester - with whom he won the League Cup in 1964 - and Stoke before retiring from the professional game at the age of 34 following a road accident which cost him the sight in his right eye, although he later returned briefly to the sport in America. However, he will probably be best remembered for his heroics in Mexico four years later when he made the logic-defying save which was to define his career when he somehow managed to turn Brazil star Pele's header over the crossbar. 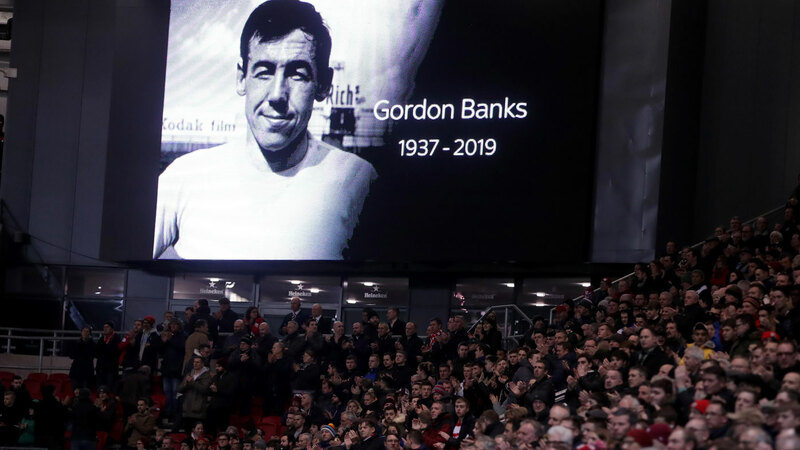 Sir Bobby Charlton, a teammate of Banks in the 1966 World Cup triumph, said on Manchester United's Twitter account: "Gordon was a fantastic goalkeeper and I was proud to call him a team-mate. "He will be deeply missed and our thoughts are with his family at this very sad time." Sir Geoff Hurst, who scored a hat-trick against West Germany in the 1966 final, said: "Very sad to hear the news that Gordon has died. "One of the very greatest. Thinking especially of Ursula, Julia, Wendy and Robert. 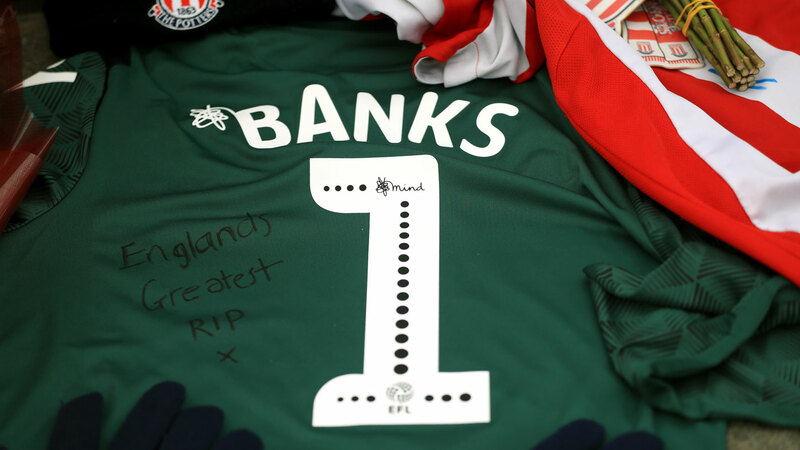 Sad for football, Stoke City and for England fans. Will be very sadly missed." Peter Shilton, who followed Banks as England No.1, tweeted: "I'm devastated - today I've lost my hero our condolences to his family rip Gordon." The Germany football team's Twitter account posted an image of Banks embracing opposition players on the Wembley pitch in 1966. "A fierce opponent and a good man. 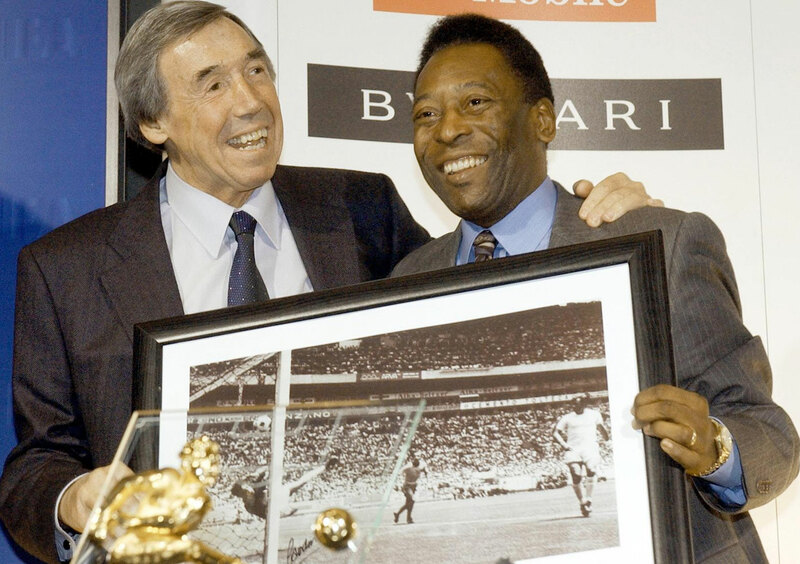 Rest in peace, Gordon Banks," they tweeted.